The group then migrated the information in the DCC directory to a new directory hosted on GitHub. In the second phase, the MSCWG refined use cases collected in the first phase, using them to specify the functionality for a new version of the directory. This new version, theMetadata Standards Catalog, will provide much greater detail about metadata standards and tools, and through its new API will be usable within other applications. 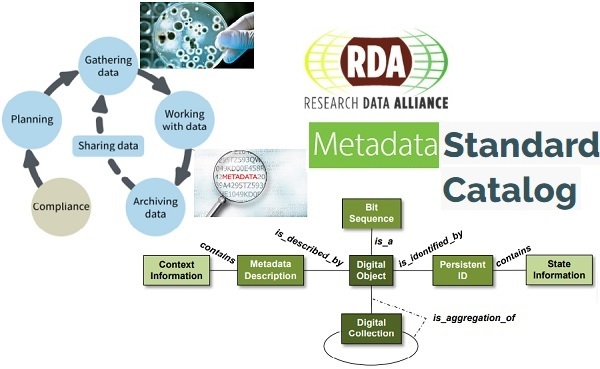 It will also provide a platform for furthering the work of the Metadata Interest Group, which is seeking to improve the interoperability of metadata in different standards by working towards semi-automatically generated converters. - a research data librarian at the University of Bath with a focus on information systems. curation and research data management, and was a member of the UK Digital Curation Centre. He is co-moderator of the Dublin Core Science and Metadata Community, and co-chair of the Research Data Alliance Metadata Interest Group and Metadata Standards Catalog Working Group. - can be accessed here.